A few years ago I made the transition from middle school to high school. I was very excited at the idea of shifting from a controlled style of management to one that was more relaxed and focused on the content. I thought students would magically behave and work because they were older and knew the rules. But as any experienced high school teacher will tell you, I could not have been more wrong! Sure, my students were more polite and compliant, but with no structures in place, many simply did what they wanted during work time — playing on phones, chatting with friends, or even taking 20-minute trips to use the bathroom. On top of that, after about one month, the students were failing the class and not learning. This was not the high school experience I had hoped for! It was clear that something had to change. As soon as we got back from our fall break, I began to implement some strategies to combat common behaviors to help my students function at their highest level. There was a little pushback at the beginning — students would say things like, “UGH! You are so unfair. You’re, like, the only teacher in the school who has this rule!” This type of feedback continued for a week or two until students finally understood that my expectations were set and wouldn’t change. They may not have agreed with these rules, but they certainly followed them from that point onward. As the year progressed, there was another change that I noticed. Not only were students doing more work during class, but they were also doing better on their exams. In essence, this increased management also led to an increase in student achievement. 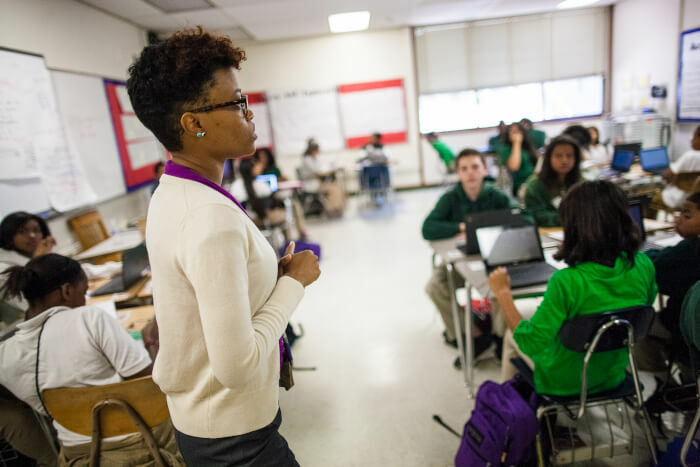 While there are many techniques for creating systems, structures, and management for high school, these four guiding principles helped me transform my class into a well-oiled machine. No matter what systems or structures you create for your classroom, it is critical that you are clear about what you expect from your students. Nobody likes to feel like they’re getting disciplined for something that they didn’t know was not permitted — if you don’t get this step right, students will avoid opening up for fear of stepping on a landmine. Using modeling, practice, and repetition can help familiarize students with your classroom rules so that they know what is and isn’t allowed. It’s also important to be specific instead of making generic statements. This helps clarify your expectations and makes them more concrete. While this can seem tedious, it reduces unnecessary miscommunications and conflicts. 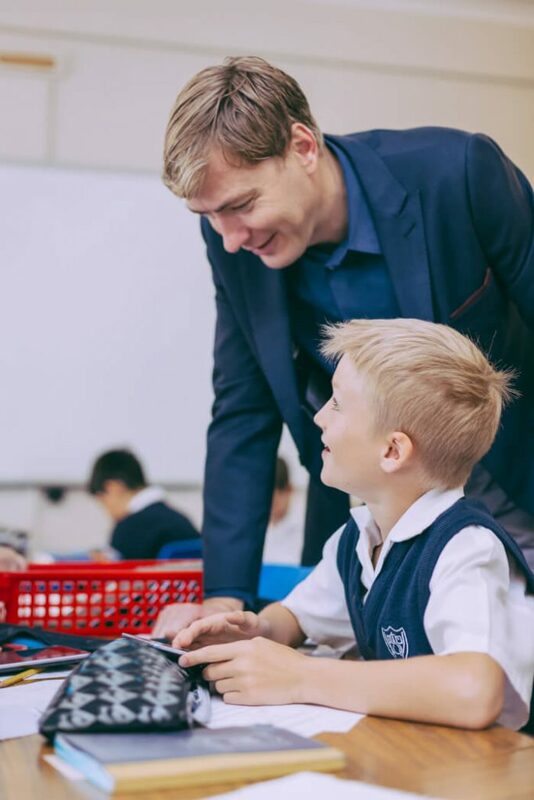 When students know exactly what you expect of them, it gives them the freedom to explore your classroom in a more productive way within your set parameters. I know what you’re thinking: “Where should I begin? 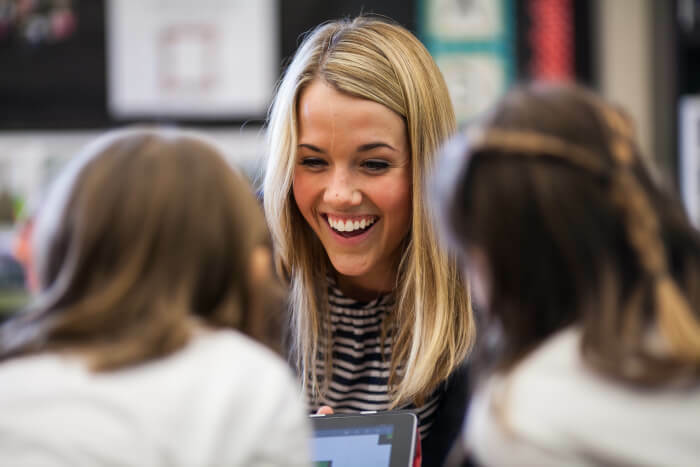 What’s right for my students?”I won’t tell you exactly where to set your own expectations because you have to find what works in your own classroom. So experiment and see what you’re comfortable with! When setting specific and clear expectations, make sure your expectations are reasonable. You should truly believe that your rules exist to boost student engagement and lead to better outcomes, as opposed to merely limiting what students can do. You need to be able to explain your reasoning to your students so they don’t question its validity. High school students are more likely to get on board with your expectations when they make sense. For example, I do not allow cell phones to be used during direct instruction time. I make sure to explain that I’ve found from experience that students do not focus on what I’m saying when they’re on their phones and that it’s generally considered rude to be on your phone when someone else is talking to you. They get this — it’s simple and reasonable. On the flip side, if there is an expectation in place that’s causing friction with many students, it’s up to me to assess that expectation and determine if it’s really reasonable or if I’m asking too much. Some teachers come in, put their students in groups of four, and then ask them not to talk to their classmates for the rest of the class. This is unreasonable — people in general love to talk, we are social creatures, after all. Instead, I recommend giving short bursts of collaborative and independent work to spread out the periods of silence. 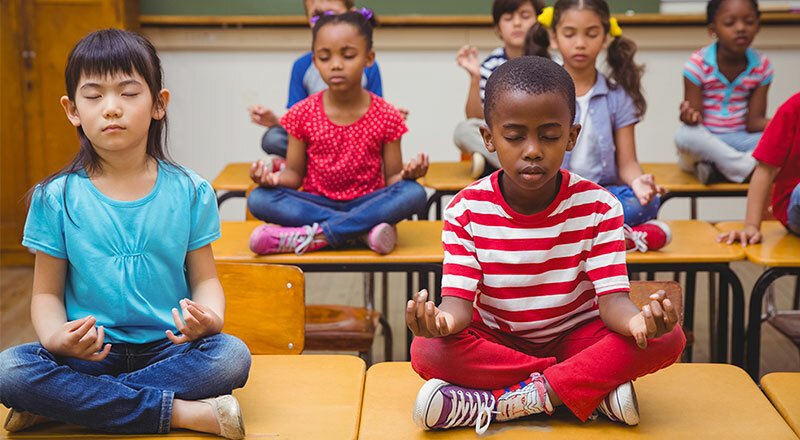 Allowing your class to flow in this manner also boosts student engagement because it keeps them moving from one form of interaction to another. Of all the tips on this list, consistency is the most important. You cannot apply one set of expectations to a certain student and another to the rest of your class. Students are experts at judging fairness. Being consistent with your expectations forces all students to play by the same set of rules. 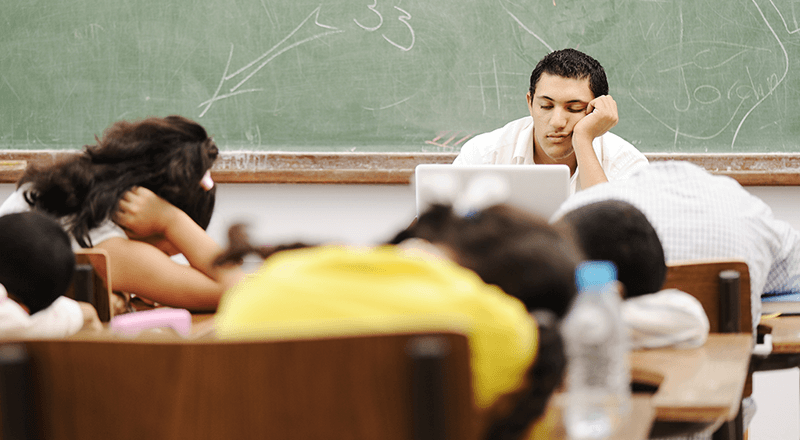 When students know that they’re all held to the same standards, they can focus on school and engaging in the work rather than trying to figure out how to manipulate your rules in their favor. Consistency gives students the freedom to explore within the boundaries that you’ve set. But it also brings a sense of safety and comfort, effectively making it easier for some students to move out of their shell because they know how to act in a way that will keep them out of trouble. In particular, this can help some of the more introverted students in your class to better engage in the lesson. High school students are an interesting group when it comes to creating a management plan because they are at an age when they’re becoming increasingly (and uniquely) individual. They are different from elementary or middle school students because it’s during those formative years, we try to get students to fit in a smaller box so that they can understand the basic parameters of school and of society in general. In high school, we really want students to start branching out and finding out how to act appropriately as autonomous individuals in society. Thus, we must attend to the needs of the individual while also maintaining the expectations we’ve set for the whole group. I’ve found tremendous success in building relationships with students as individuals. This allows me to identify their individual goals so I can incorporate them into my instruction. You may be wondering how this could help you with your management. It’s actually quite simple — once you know what your students’ goals are, you can then correct their behavior or help push them in the right direction simply by asking, “Is this helping or hurting you in meeting your goal?” Students like this— it gives them ownership of their future and makes them feel more like the adults that they’re striving to become. It also helps them to engage in content more deeply because they begin to realize how school helps them reach their future goals. 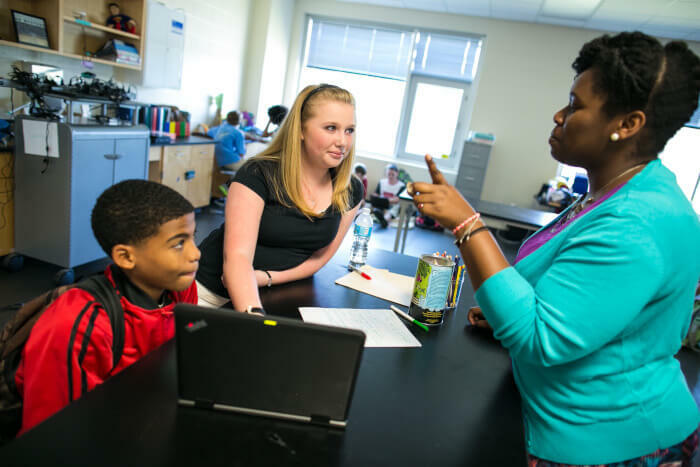 High school classroom management is more fluid and unique than those of other grade levels because these students have more free will and freedom than their younger counterparts. This means we need to ensure that we’re setting clear expectations with reasonable justifications for why we have them. Then, the best thing you can do with these expectations is to be consistent. Mix in some intentional relationship-building, and you’re well on your way to having a successful high school classroom. This general framework will help you manage your classroom and ensure that students have the greatest odds of success. Edward Matthews is a high school Professor of English Language Development and freelance education blogger at www.ignitetheapple.com. Born and raised in Boulder, Colorado, he has been teaching for the last nine years in the Denver area. Edward lives with his wife and son, along with their two cats and one dog.